There are plenty of high-end headphones are available and new ones keep coming. If you look at our best headphones list, you will surely get a fair deal which will stay longer in headphones competition without bothering about what's new coming and what you would have got after waiting some more time. Here are some of the best high-end headphones available right now in the market. 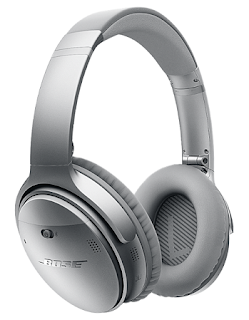 Bose QuietComfort 35 is an engineering masterpiece for music lovers from Bose. It is the most upgraded headphone with wireless function and active noise canceling function inbuilt. With great fold up design, it also supports wired function if a battery dies in case. It is heavier than previous QuietComfort 25 but surely with advanced features. At $350, £290, AU$499 it is slightly overpriced than QuietConfort 25 but its features are advanced. Compared to Q25 it is heavier at 196g. Its headbands are widened now with a more stable fit and added sturdiness for better grip. QC35 senses, measures and sends unwanted sounds to two proprietary digital chips which respond with precise, equal and opposite signal quickly to give enhanced output. This headphone is equipped with a new digital equalizing system which balances sound on any volume levels. If at all its 20 hrs promising battery dies, there is an option of wired cord which is 47.2inch long included in the pack. It is noted that this headset works well with corded option mostly suitable for Airplane use. The cord is necessary at those restricted places as well. This might be the drawback for Bose's upcoming QuietControl 30 model. An integrated button on the right earcup makes it easier to control volume, playback and answering calls easily. QC35 syncs well with Bose's free Connect app for iOS and Android. One of its best features includes the addition of ambient sounds like wind and crowd noise while you are on the call to feel natural. Its side-tone feature allows a user to hear their own voice so that they won't yell unnecessarily while talking. While it is on Bluetooth, QC35 does not surpass the quality of Sennheiser which is available at around $400. It is one of the best Bluetooth headphone available right now. Bose QC35 is the best option considering the noise-cancelling system. QC35 works best on wired when compared to over Bluetooth, surely there is a difference. MDR-1A is lightweight, comfortable and improved over MDR-1R. Costing at around $300, £170 UK, AU$400 is very comfortable to wear and with small design changes. The overall finish on the model is more textured. Its earcups rotate in opposite direction from the previous model but it sits properly on the head while they sit on the neck. In short, the current design is more comfortable while you are not using it and keeping around the neck. With cable weighing just 225g, it is still lighter than 1R. Headset design fits well on various head sizes and suitable for all ages. In a box, you get standard 1.2-meter cables which have one button with remote and microphone. MDR-1A is for Audiophiles, those who extensively loves music and want perfection. don't miss "Sony's new MDR-1000X Excellent Noise Canceling Headphones are out"
Sennheiser Momentum 2.0 is more spacious, more comfortable, precise and with a new folding design. sound quality has been improved drastically with a perfect head fitments. At a big price tag of $350 £270 UK, AU $400, Momentum 2.0 is really that worth. It is second generation headphones with more precision and better grip. Folding design and included carrying case makes a better sense especially you are carrying it along with you all the time. 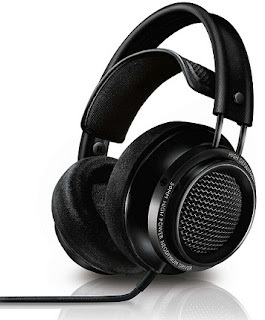 It is quite smaller built, sturdy and affordable choice in high-end headphone series. Still, with this small design, they are able to use planner magnetic drivers. Overall sound quality is amazing again with a closed-back design. With extra $50 one can also get Lightning headphone cable which fits on iOS port and becomes iPhone 7 ready. One of its drawbacks is its no-supported with a microphone and remote. 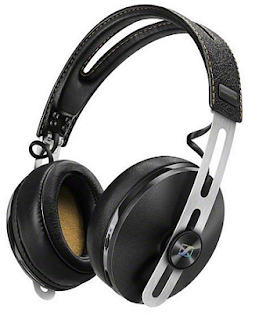 It is one of the low-priced high-end headphones which uses planar magnetic drivers. It is also marketized as world's first 'on-ear' planar magnetic headphone. Headphones come in two versions, one with conventional mini plug and other with Apple Lightning connector. (It is Audeze's Apple approved Cipher Lightning Cable) - Costings at $450 Sine is worth. Although standard cable does not have a microphone or remote button inbuilt, a lightning apple supported cable has everything which is included in $500 bundle. With sturdy built and superior quality at low price tag. Currently available at around $80, this one is surprisingly good. It is lightweight, comfortable and has an inbuilt microphone. 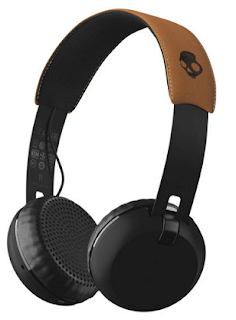 With full metal design, the headphones have got amazing features. It comes in six various colors to choice from. It is a wireless headphone, but you can also use the cable if needed in future. Some drawbacks include, it is not foldable and does not come with carrying bag either. Overall premium product with stellar sound experience, eye-grabbing color models, sturdy build quality, soft ear pads, great built-in battery for Bluetooth use (Wireless and up to 12 hrs battery backup), call, track and volume control with built-in microphone and remote control also supported with bundled audio cable. 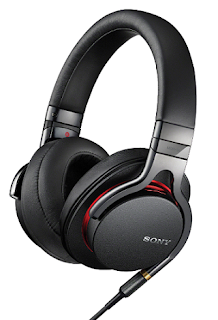 MDR-1ABT is Sony's another masterpiece and it does not compromise on quality either. It is a true audio powerhouse. Looking at current Audio trend and level of achievements have been made so far, 1ABT really stands tough in the race. These wireless headphones are also wire supported with 3.5mm jack if needed. Its powerful audio drivers deliver the best performance and can play high-resolution audio tracks as well. With clever touch controls, excellent battery life, comfortable fit, MDR-1ABT is the best choice for professionals. 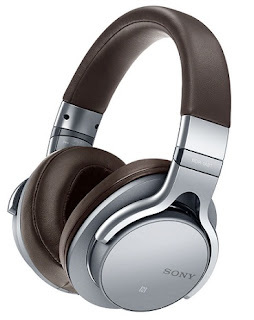 One of the best planar magnetic headphones till date. Has closed back design mostly suitable for music lovers. It has a flat frequency response with equal surround effects. It is kind of an affordable luxuries headphones with $300 price tag. It is unique and rare built with much lower cost than its 1K predecessor headphone. It is best suitable to listen to audiophile music collection. The person standing around will hear the sound surely as if some speakers are running but the overall user experience will be amazing. PM 3 is the best bargain compared to competitors such as Beats, Denon's Mainstream, and Sennheiser's HD series. It is Philips top of the line open headphones. Much upgraded to the previous X1, X2 is a beast. 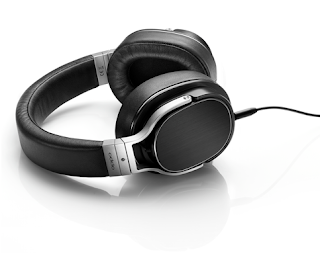 It features 50mm neodymium drivers in fully open back design. It has premium build with real leather, aluminum, steel and pads filled with memory foam. The pads are detachable and are user replaceable. Head fittings are extremely well assembled and mostly suitable for long hours. At just 380g, X2 doesn't feel heavy at all. This wireless headphone is also supported with audio cable which is 3 meters long and with a 3.5mm jack. 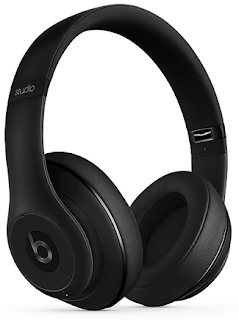 Beats Studio is very comfortable to wear over-the-ear headphones with excellent sound quality over Bluetooth and active noise canceling system. Its folding design is much suitable for those who travel the most. The major change from their latest model is it is wireless and has active noise canceling system inbuilt, also it works well with Bluetooth wireless streaming from any device. At $380, AU479, Beats Studio is worth your penny. An extra cord also supported for those who want to take calls and connect to their smartphones or an Apple devices to use with a microphone. It is sad to note that its internal rechargeable battery must have some power remaining for a headphone to work, even when wired. These are available in Six color options - black (matte or glossy), red, blue, white and titanium. Even though it is a plastic folding design, it is sturdy and fits perfect on the head. 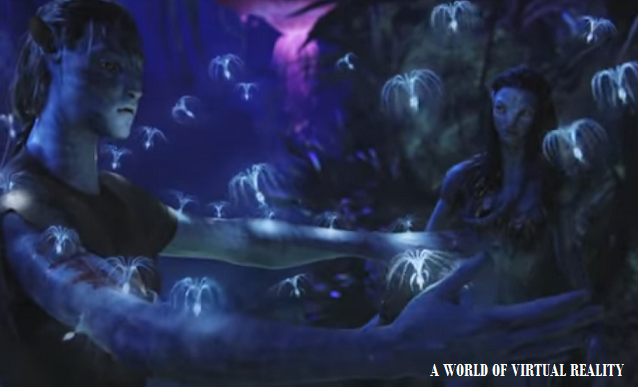 The company promises an excellent balance between environment and your music with an Adaptive noise canceling system. It is equipped with Beats new Digital Signal Processor - DSP. The battery is promised to work for at least 12 hours on wireless and around 20 hrs on wired. Again, when compared to other high-end series, Beats Studio Wireless is rated well with worth buying signal. However, Bose QuietComfort 35, Sony MDR-1A took the lead here. Music lovers still prefer wired headphones to enjoy full beats and audio quality. 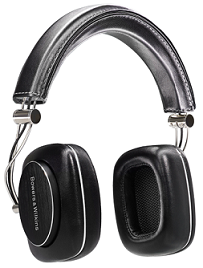 But if you look at Bowers & Wilkins P5 Wireless reviews, you will really appreciate its output. 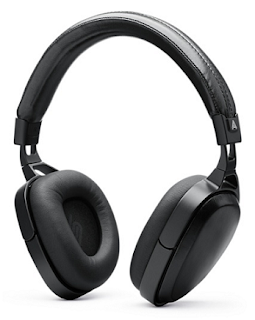 With extremely durable and attractive built, headphones have a great high-end look. People still have issues with the wireless audio quality when compared with the same headphone wired, but P5 proves to be the best here. The headphones have removable earpads, meaning you can magnetically detach them for replacement and also can use wire if necessary in case battery goes down or the places where Bluetooth is not allowed. As supported with AptX Bluetooth streaming, the audio output is promisingly good. Its well-balanced sound profile is amazing and can be used for longer hours without feeling any listening fatigue mostly occur over poor quality ones. In comparison with Sennheiser Momentum, Bose, and Plantronics BackBeat Sense, B&W wins the race.